Kurt Holland wants the best for his younger brother, which is why he moves Sam to Bridgeport, Ohio. It's a bigger town with a well-known high school. Just the place to give his little brother more opportunities - maybe even a scholarship to college. Kurt hopes his gamble pays off, since Sam's future isn't the only thing riding on it. Kurt's put most of his savings into a new landscaping business there, too. But when Sam gets in trouble for fighting at school, Kurt isn't so sure it was the right decision, until he meets Sam's English teacher. 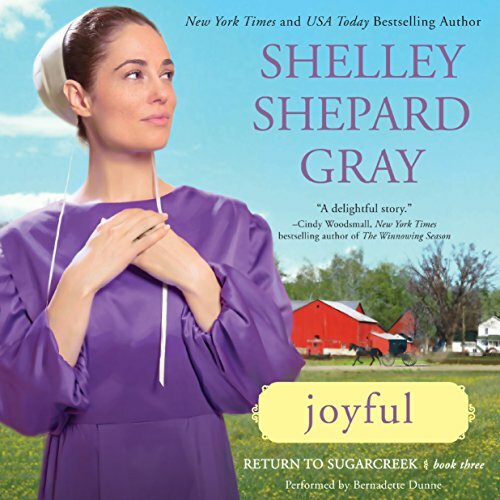 Return to Sugarcreek with best-selling author Shelley Shepard Gray for a heartwarming story of second chances with a young Amish couple. 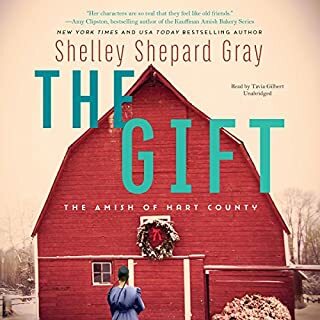 Randall Beiler will sacrifice anything to take care of his younger siblings and the family farm, even if it means forsaking love. 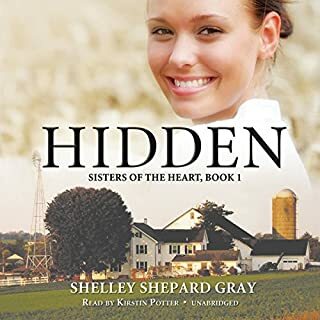 But when his brother offers pretty Elizabeth Nolt a job cleaning and cooking for the family, Randall is furious - and feels guilty about the way he once broke Elizabeth's heart. Then he learns that Elizabeth and her grandmother are struggling to make ends meet and he knows the offer, no matter how painful, is the right thing for everyone. 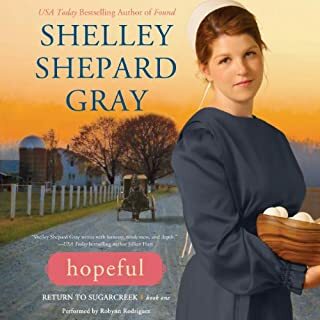 SSG always seems to stick with true honest Amish fiction. So many "Amish Authors" are taking Englischer stories and turning them into "Amish" books. SSG sticks to basic Amish life.Never change Shelley!!!! 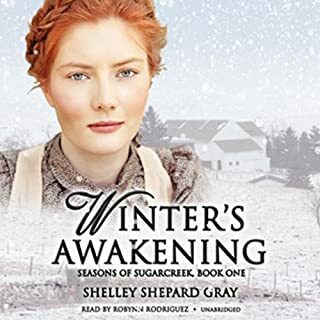 I have loved all of her SugarCreek books and own them all,and have listened to them many times over and over again. Great reader, great story. Love this author!!! 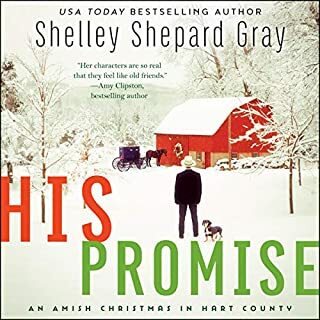 Did Not Enjoy This As Well As "Peace:Christmas…"
Would you try another book from Shelley Shepard Gray and/or Bernadette Dunne? 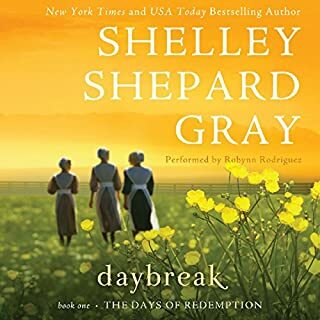 Bernadette Dunne is a must for me in Amish books; her intonation, expression, pace and characterization is excellent, but this story was not as engaging as others because the male main protagonist (Randall) seemed almost unlikeable in his inability to communicate honestly or clearly ("I didn't mean that the way you heard it!") with a lack of awareness of the consequences to others whom he loves, of his current determination to take on what he really can't manage all by himself, especially without being willing to consult, inform or include them. His love, Elizabeth, is not as attractive to me because she is too willing to not speak up for herself or her needs, even though, with Mammi (hergrandmother)'s insights and experience she is able to be honest most of the time. So the story is overall a fairly good one: Elizabeth's mother left to remarry, saying she would send money for care of her daughter and mother. Elizabeth is probably still a late teen,so this is a shock and a grief, and difficult to cope with. She and Randall have known each other many years, and, being attracted, court, but don't seem to really get to knowone another, maybe not even their real character values. Randall's family at the opening of the story is undergoing major upheaval, with many of the members marrying and moving out. This still leaves 4 young men, and a young, 9 yr. old sister, all of whom were very engaging. They are observant, funny, interesting, intelligent and honestly outspoken, making Randall look even more like a bull in a China shop. The bulk of the story is how they all get through this family upheaval while the main characters struggle to come out of the stressful confusion they seem to be in. so calming, helpful , with such a big dose of faith, I almost wanted to meet him! I felt uplifted by it, and happier. It thus meant more to me.